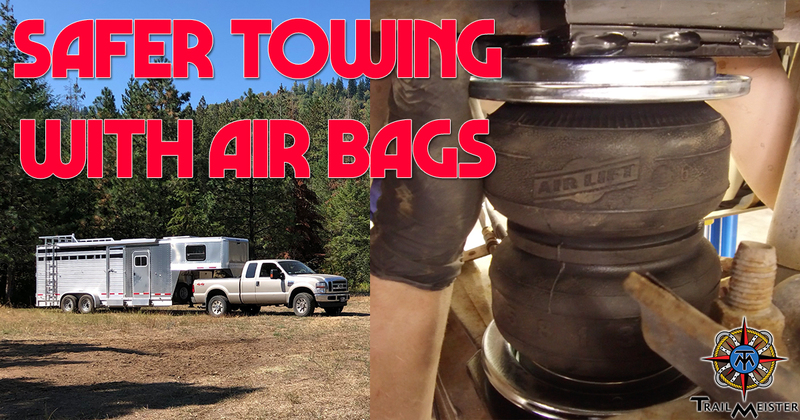 Today, we’ll be discussing why I added air bags to my truck to more safely haul my horse trailers. 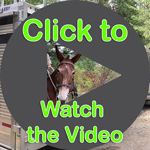 Welcome to the start of a new series for horse owners who may be considering a new trailer or upgrading one. I’ll be sharing my trials and tribulations with you as I move from a small bumper pull to a larger gooseneck that I’ll be converting into a DIY LQ. 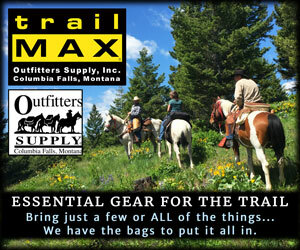 Your truck’s original suspension as designed allows for safe hauling, towing, and handling. However, when fully loaded the weight can shift, aiming the headlights towards the treetops, bottoming out the rear suspension, and making the steering lighter and braking more unpredictable, and “interesting”. Squat was my problem and it was MUCH less expensive to fix a saggy rear end than to purchase a new vehicle. Air suspension, or more properly pneumatic suspension, systems have been around for nearly a hundred years. I had a lot of questions about what air bags do and why I would even need them. Here’s what I’ve learned. False! It’s important to remember that the addition of any airbag system does not allow higher payloads or towing capacity to your current vehicle. You need to consider that many other systems on your truck—including braking and cooling—are rated for your specific manufacturer-rated capacity. Exceeding these ratings is not safe. 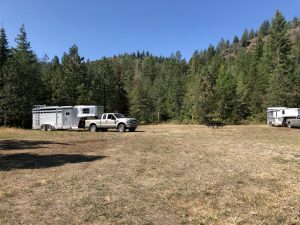 It’s very important to identify your vehicle’s towing and hauling capabilities, which will vary depending on your vehicle truck. 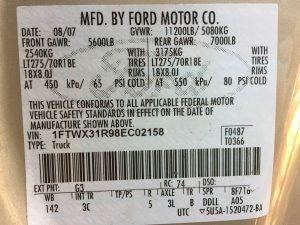 Inside the driver-side door you’ll find a label that identifies the vehicle’s Gross Vehicle Weight Rating (GVWR), which is the maximum weight your truck can safely carry. This rating, along with your truck’s towing capacity, is determined by many factors, including engine size, gear ratio, wheel and tire package, cab and bed configuration, transmission, axles, and more. Always verify that your load is within the manufacturer’s specs for your vehicle. Once installed and inflated, the helper bag assembly allows you to add air to the system to level the vehicle and add much needed stability, firmly planting all four tires evenly on the ground. 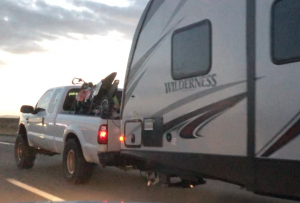 This makes a big difference—even when you’re within your vehicle’s tow rating capabilities. These systems can also help offset the negative effects of sagging springs or worn shocks that can lead to poor towing performance. 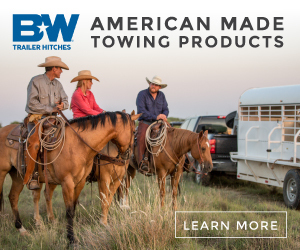 A bonus is the ability to adjust your tow vehicle’s height when hooking up a trailer. Companies like Air Lift offer many add-on air spring systems capable of increasing the stability, safety, and ease for your towing experience. 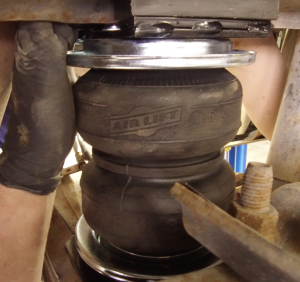 Since an air spring acts like a balloon you’ll need the ability to inflate the air bags. Adding more air (higher pressure) cushions and levels the ride of a loaded-down rig, and removing air (lower pressure) returns an empty rig to a factory condition. Onboard air systems are the answer to adjusting air pressure and come in a range of styles. The simplest are inflation valves that are connected to the air bags. These are filled in the same manner as a tire. I opted for a system that includes an onboard air compressor, to allow for pressure adjustability on the go, via a handy remote control. When installed properly and maintained air suspension systems will last for a long time. Since the rubber air spring is pliable and can be damaged from rubbing or chafing, it’s very important to keep a good amount of room between the bag and any brackets across the entire range of travel. Any contact the airbag makes will shorten its usable life significantly. It’s also important to keep the airbags inflated enough to maintain their shape even when you aren’t towing. Excessive wear can result if the bag is under or overinflated. An additional thought about the airbags is to be aware of their maximum pressure ratings to avoid premature failures. After having upgraded to air bags from Air Lift systems I’m a convert. 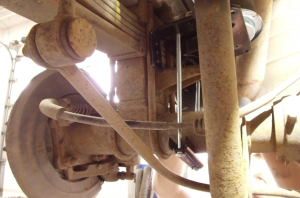 The adjustable air springs allow me to customize my suspension to my load making for a smoother, safer ride. There’s a reason why semi-trucks use air springs and I’m glad that I joined the club and I’ll be riding on air far into the future!